A few Dining Out posts, a few events, and a whole lot of design / editing / food photography for a new extremely fast turn around project has meant that this is not only the first recipe post in two weeks but the first thing I’ve cooked and photographed for my own purposes since those Almond Croissant Makeover treats. Phew. Of course that meant I not only tackled one dish last night but two, it happens. 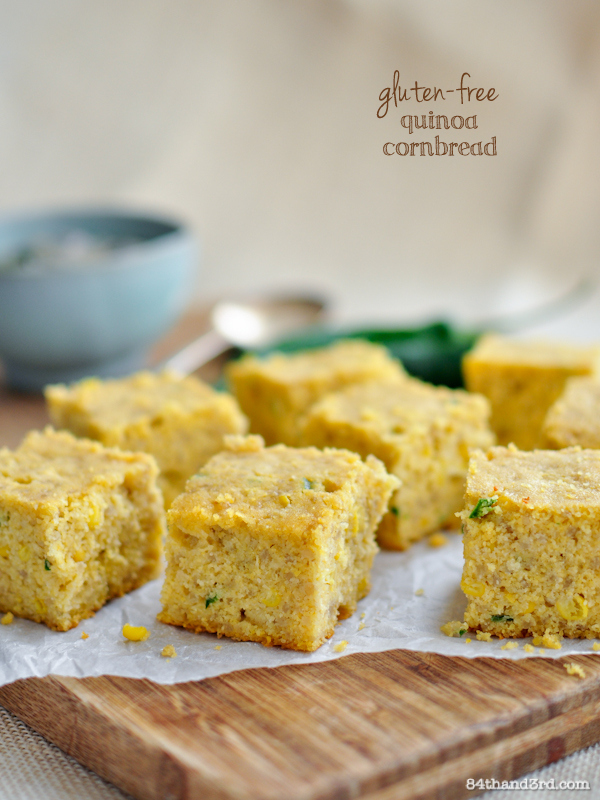 The first – this Gluten Free Quinoa Cornbread – is inspired by my assigned blog for this month’s Secret Recipe Club. The second – a mushroom and kale soup – should provide badly needed sustenance for another impending crazy week, as well as a future post. Flipping through the recipe index on my SRC assigned blog, So Tasty So Yummy, I was spoiled for choice! 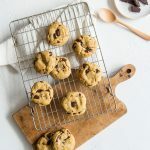 Katie’s wholewheat Chocolate Doughnuts were one of the first things to catch my eye, alas I have no doughnut pan (note to self, get a doughnut pan…) and while I could have made them in a muffin tin, where’s the fun in that? 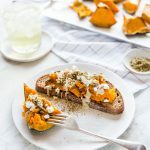 I got distracted by the Autumn Dinner Party, thinking how perfect it would be to share over on Seasonal Sunday Lunch, I contemplated the Portobello Mushroom Soup for dinner, but I kept going back to the Cornbread. You could call this a very generously adapted reflection of the original, but honestly when do I stick to a recipe these days? Inspiration is everything and Katie’s cornbread is just the inspiration I needed. Now please excuse me while I crawl back into a pile of work, at least there’s soup and bread to keep me going, and soon enough I’ll share what I’ve been up to… Have a great week! Cornbread, only different, but not. Preheat oven to 180C (350F). Grease a square 20 cm (8 inch) cake tin, line base and two sides with a long strip of baking/parchment paper. Mix together dry ingredients, cornmeal through jalapenos, breaking up any lumps. Whisk together wet ingredients, combine with dry and stir well. Pour into prepared pan and bake for 30 mins until centre is firm and a toothpick comes out clean. Cool in pan 10 mins, run knife along unlined edges and turn out to cool completely. Sub quinoa flour with buckwheat or spelt. Spelt flour is not gluten-free. The cornbread looks delicious! I am definitely going to try this out, love the quinoa in it. You inspired me to make cornbread with my soup tonight! This cornbread looks fantastic! Can’t wait to see what else you’re working on too! 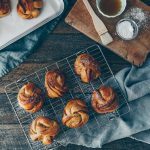 Lovely recipe, great photos too! 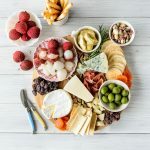 Quinoa is such a great ingredient, you picked a perfect recipe for your reveal day..
Beautiful selection – great photos!!! What a great pick! I love the addition of quinoa. Your recipe turned out so pretty. Yummy! 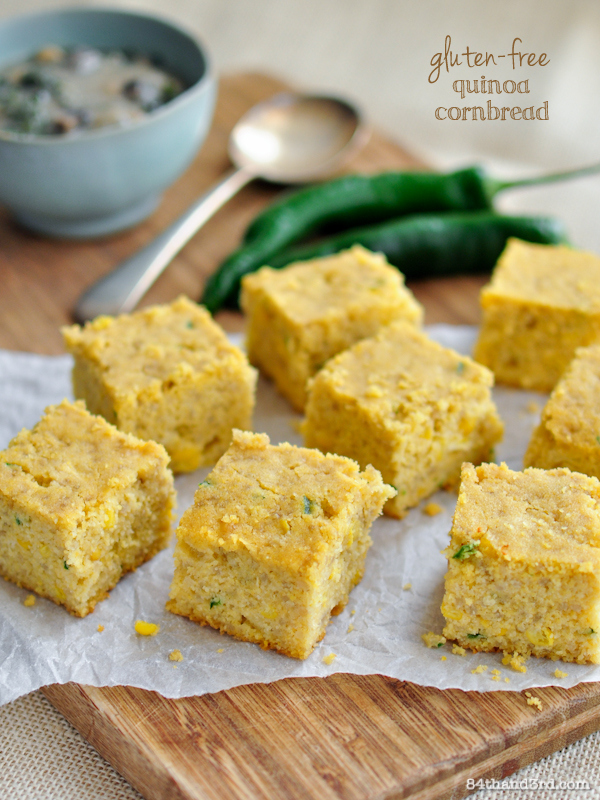 I haven’t made cornbread in a while, but this is convincing me that I really need to! I had your blog for this month’s SRC – I had such a difficult time deciding what to make! I ended up choosing a variation of your spiced cherry tart (but instead used Saskatoon berries) and your almond cornmeal crust! They were quite tasty! You have such a beautiful blog and it was really a pleasure looking thorough it! I love how you have so many “me friendly” recipes. Take care! And now I want YOUR cornbread! Great SRC pick! I love cornbread, your GF version looks so tasty! I love baking with quinoa flour… never thought to use in it corbread!! What a great idea! I will have to look for quinoa flour because I’ve just recently tried and loved quinoa! 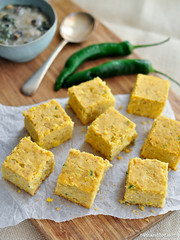 I’m a total sucker for some good cornbread, this looks and sounds amazing!! I have had corn bread on my must try list for way too long. Maybe you’re healthy version is where I should start. Looking forward to hearing about the secret project! 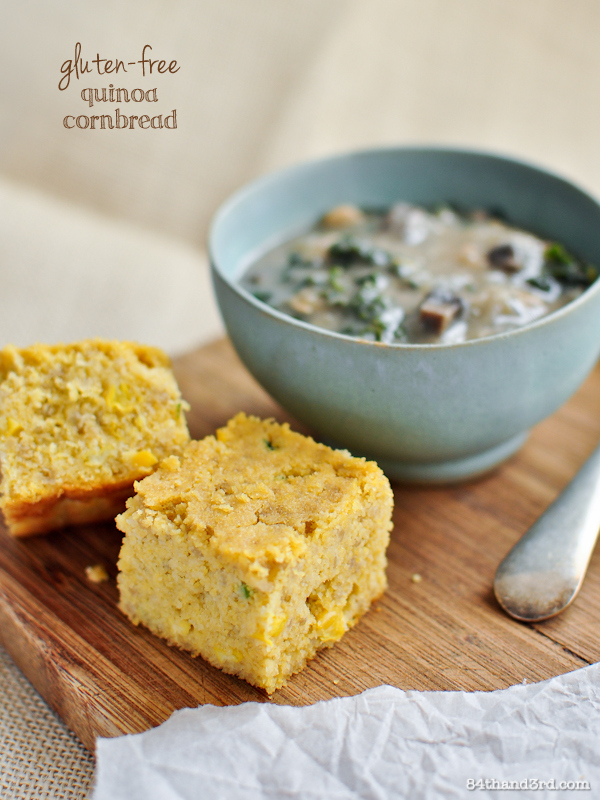 This is such an interesting version of cornbread! Love the use of quinoa and especially quinoa flour which I have never seen before. Gorgeous photos as usual! Cornbread looks delicious! Great SRC pick! Mmmm, love quinoa. This cornbread sounds delicious. I NEED a doughnut pan, too. Always find that I wish I had one. I really want to give this a try. Help, cornmeal? We call it something else here in Aus, I can never find it. What do you suggest. This looks absolutely delicious – as do so many things on your site. I’m so happy to have discovered it! Mmmm, not only looks delicious but it tastes fantastic!! Have made it several times now, I like to mix it up; Added onions and garlic instead of corn kernels and it was amazing and also omitted the rice syrup. Thank you for the recipe! Thanks for sharing Aahana – sounds great!